First question is when was the line laid? I have no answer, so far. My big map of Southern Africa was published in 1952 and it doesn't show the line, but Ref 2 shows the connection all the way through to Balfour. Thus all I can say at this time, it was laid between 1952 and 1961. There is hardly anything left of the line, I remember it was the first line in the news about rails being stolen, that was in 2007. I suppose eventually the railway did a clean up job and removed everything, including the station buildings. Looking at Google Earth it appears the rail was already out of use in 2004. 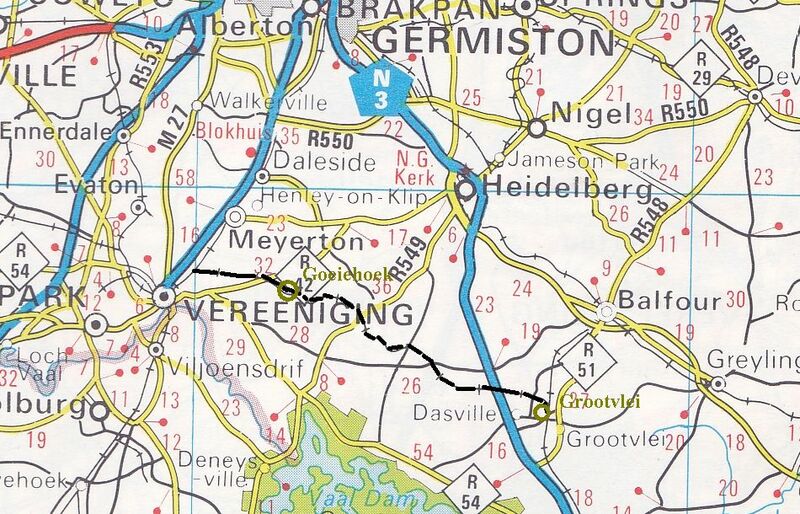 Stations and sidings along the line are: Redan, Burttholm, Goeiehoek, Bosrivier, Goedbeloon, Bloekomspruit, Downingdale and Grootvlei. The station building is mostly derelict and a little shop is in one of the side building. But the railways is maintaining some order by posting three security guards at the platform. 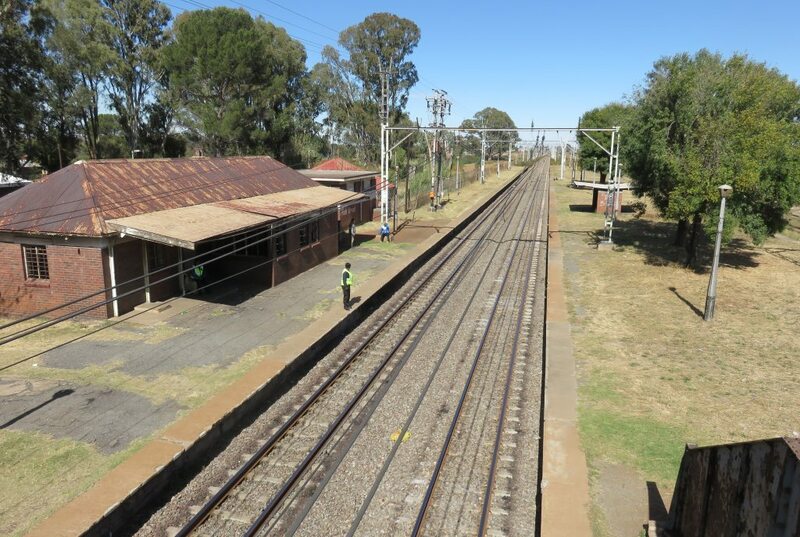 The line to Grootvlei branches out just to the north of the station, hardly visible now since even the switch has been totally removed.There is a grave at the station, no inscription and encased in brick and concrete. I still have to find out what this is all about. 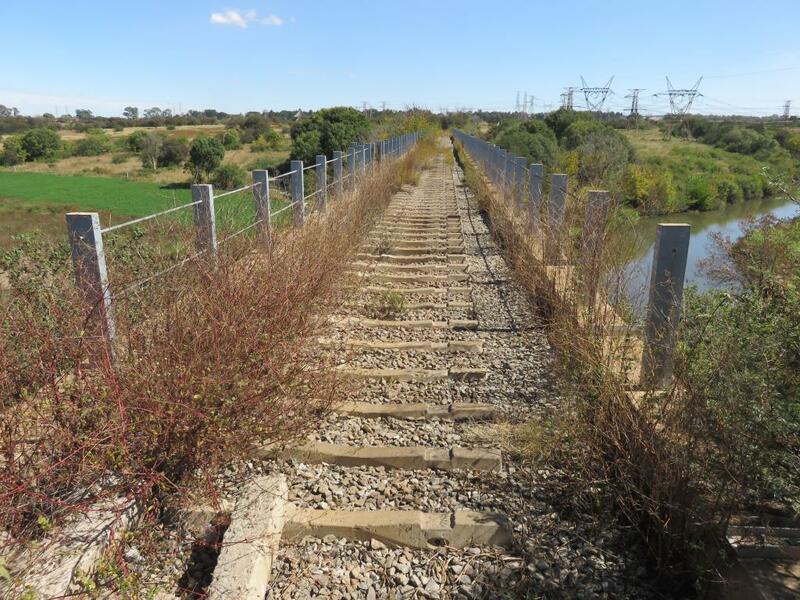 Not far out of the station the line crosses the Klipspruit with a viaduct very pleasing to the eye. The bridge is a concrete construction, I found no marker of what year it was erected. The only structure left of the station is the goods shed, and there are some railway houses on the far side over the line, all in ruins now. This was not a small siding, walking around there one does get an inkling of the size of the rail network, there were at least 3 or 4 lines in parallel. 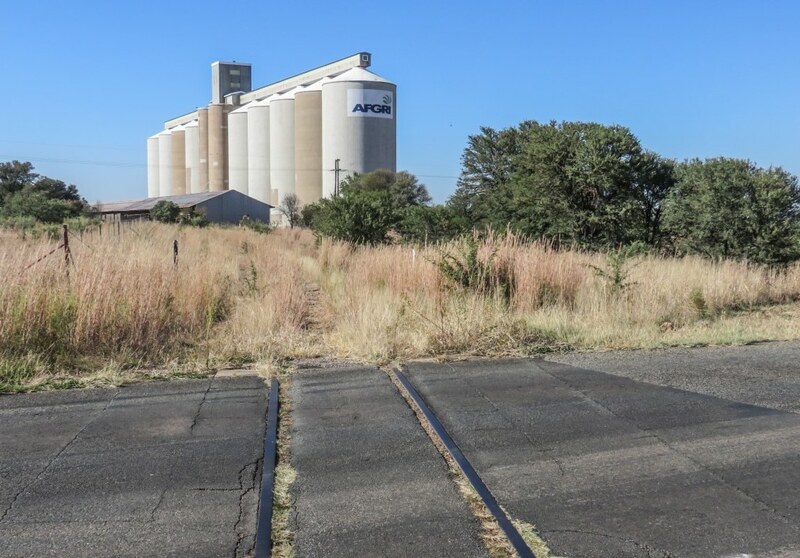 The picture of the silos shows the rails crossing the road, the only rails still in the ground. 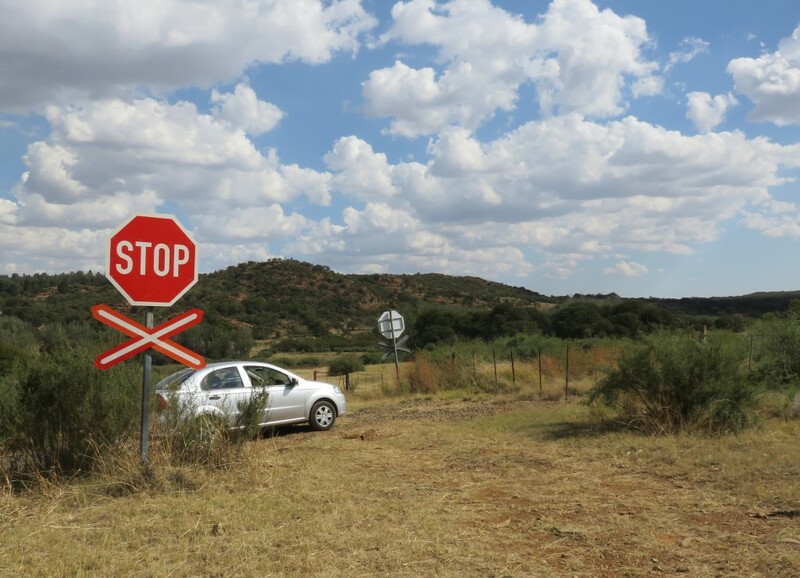 Further along the line to wards Grootvlei, on the right is a Voortrekker graveyard. 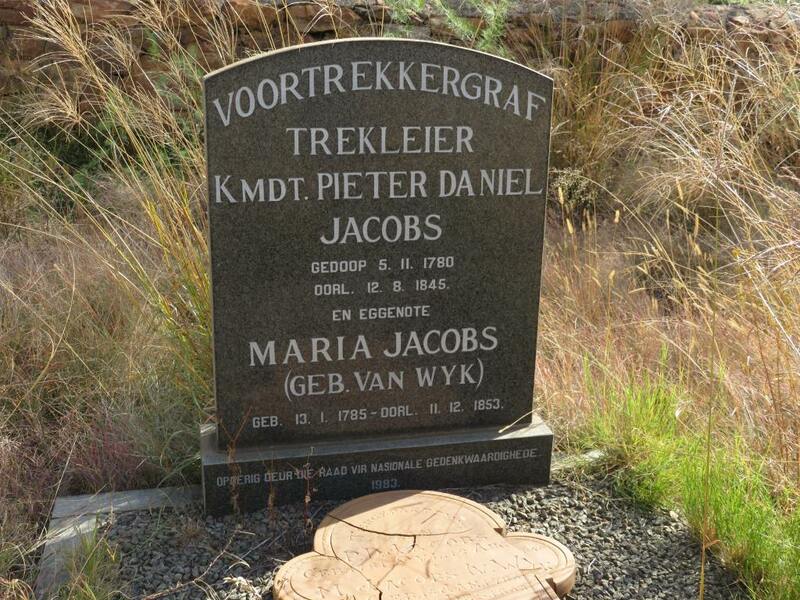 The most significant grave there is that of Pieter Daniel Jacobs. The new stone refers to him as Komandant. He was one of the six commandants at the Battle of Blood River in 1838. The old grave stone was replaced by a new one with the old stone still laying on the grave. And there is a difference in the inscription between the two. 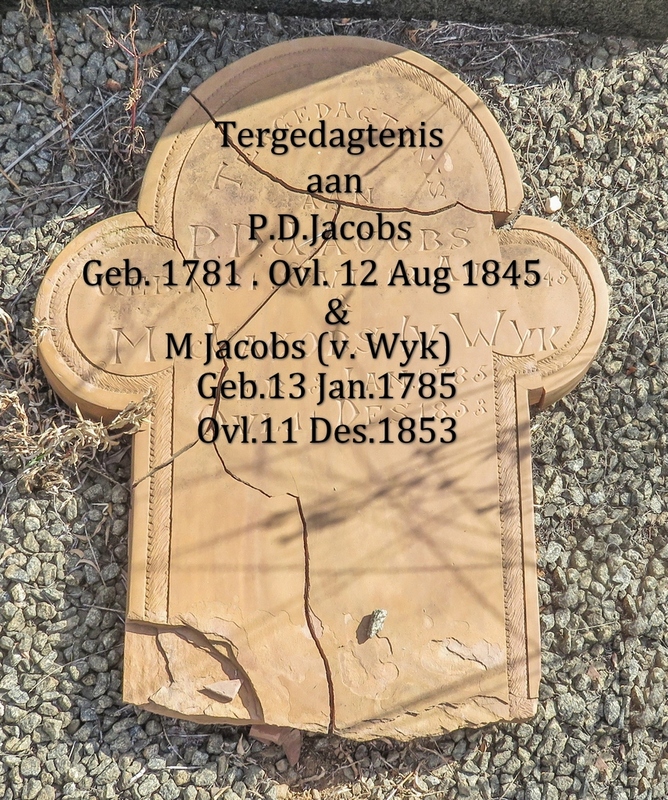 And the old one, still very readable, states the following: in memory of P.D.Jacobs born 1781 died 12 Aug 1845 & M.Jacobs (v.Wyk) born 13 Jan 1785 Died 11 Dec 1853. The difference is mainly that on the new stone his date of christening is given as 5 11 1780. The organisers must have dug into the church records to get that information. A bit of his life from Ref 1, in his young days he was a burgher living in Stellenbosch and around 1830 became a successful farmer at Beaufort West. He did not take part in the initial treks 1835/36, but joined later to take part in the expedition against Dingaan, the Zulu king. 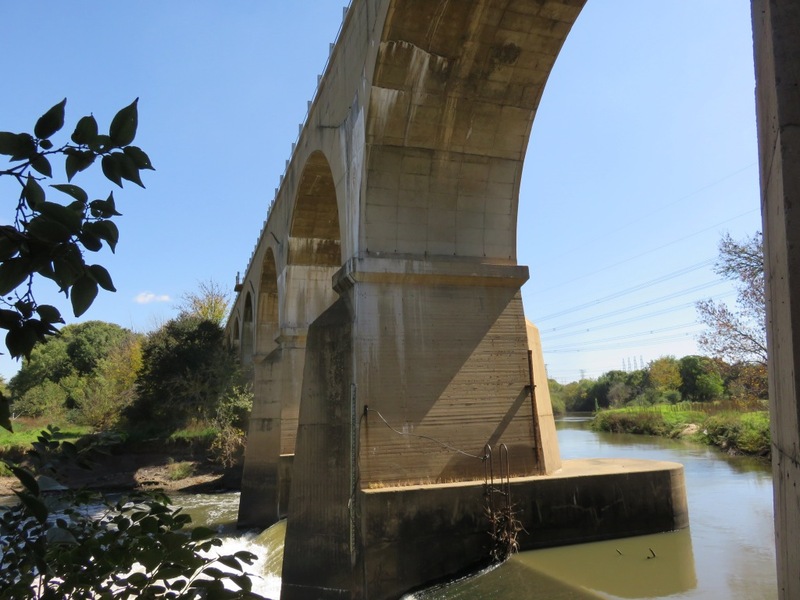 He and some followers first trekked to the Free State where he set up on a piece of land at the Caledon river. Leaving his family behind he went off to fight in the battle of Blood River. 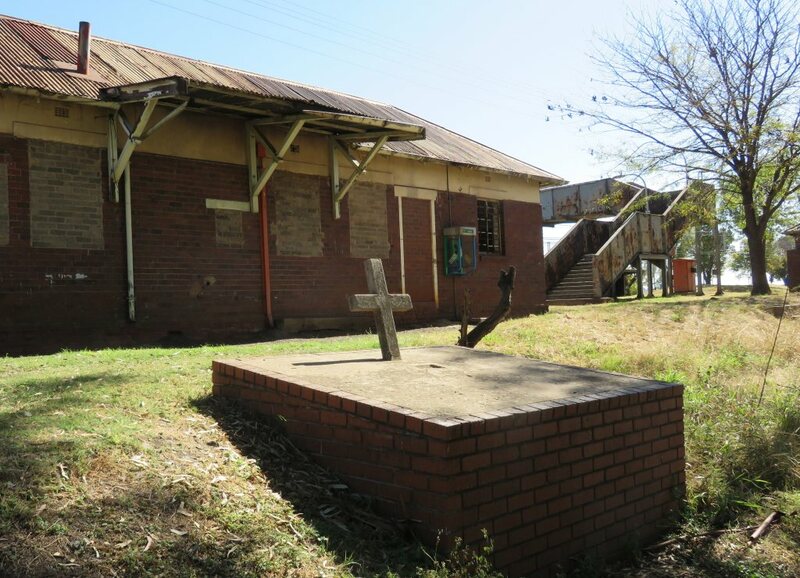 It is stated that he went over the Vaal 1839/40 to settle at Suikerbosrand near Heidelberg, this is where his grave is. 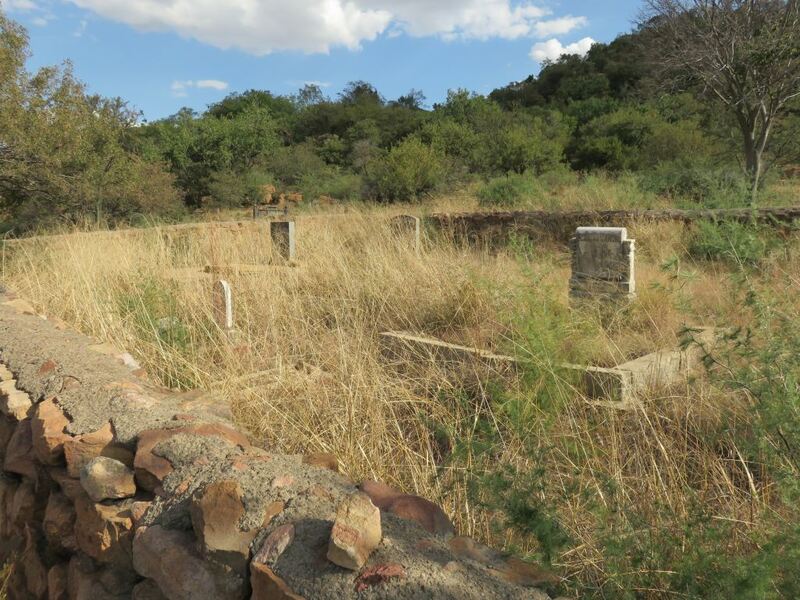 There are other marked graves: van der Westhuizen, Greyling, Jacobs and du Preez, are the family names occurring. Whenever I get to one of these old grave yards, sorry I feel like digressing a bit, I have to take note of the fact that people in those days did not live that long. Most people died in their 60ies. And dying at such young age despite the fact that these people led a much more natural life than we do. Can you see where I am going with this? They were eating lots of roughage, stamp milies and unsifted flour, they didn't use pesticides, their sugar supply was limited, to cure themselves off illness they used natural herbs. In this generation we are fighting with cell phone radiation, antibiotics and growth hormones in our meat, refined foods cleaned off all the rough stuff, lots of sugar, medicine with side effects and horror of it all, GMO food. And in general we make it to our eighties. End of digression. 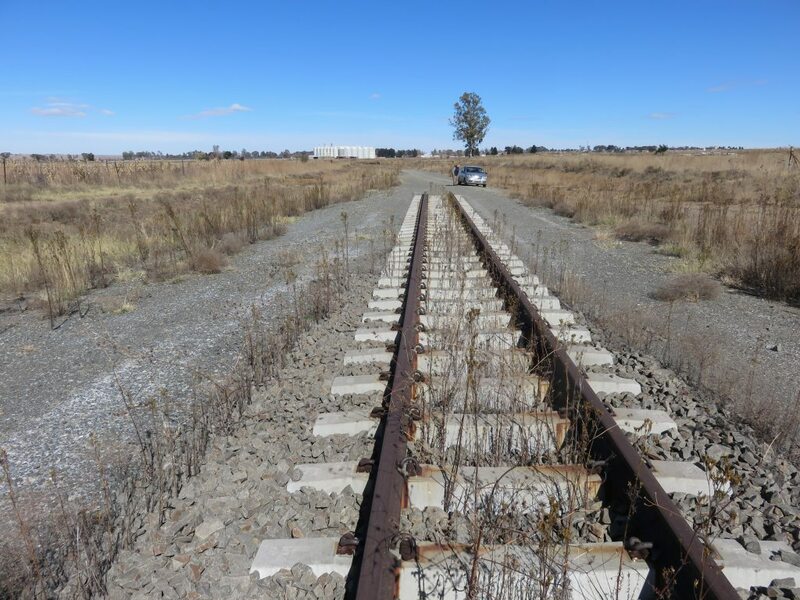 Strange to see a level crossing and no tracks, the car is actually standing on the rail bed. There are silos at the station and, I noticed, the silos still have their rails infrastructure, but no connection to the outside world. Where the rails would be crossing the road we still have the sign warning of a train crossing. On Google Earth I did notice that the good shed is still standing on the platform. It was a junction, here it joined the line between Balfour to Bethlehem. From what is left one can see that this was a substantial station, with a fair number of tracks. No building has been left standing. Following the rail bed north just beyond the junction we had a surprise, new rails had been laid up to that point. I could tell they are new by the date stamp on the sleepers, 2013. 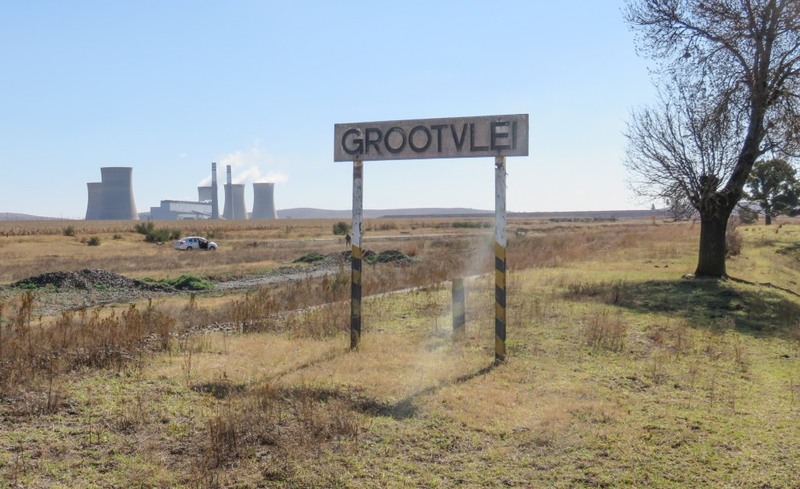 There was a project a while ago to deliver coal to the Grootvlei power station by rail instead of road. 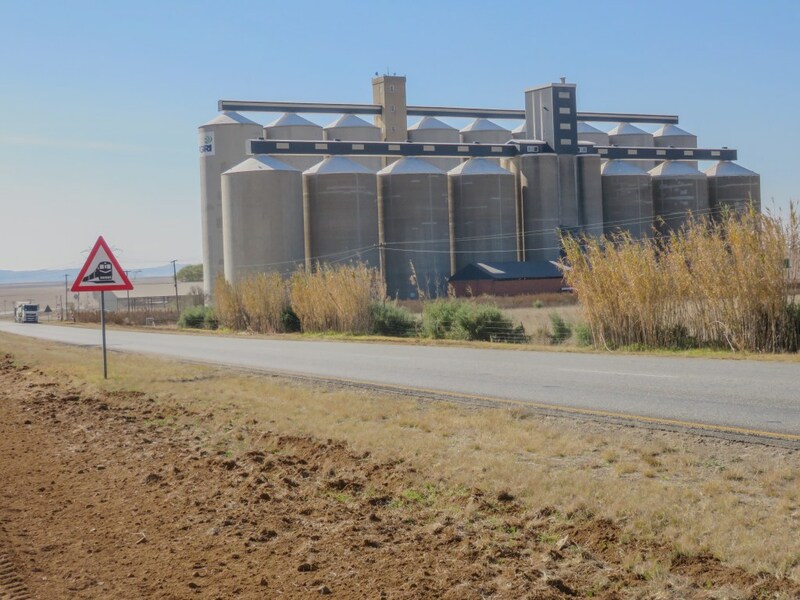 To understand the situation, Grootvlei power station was erected in 1969 and produced power until the 1989, it was then taken off line and mothballed. Later it was started up again when the need arose, but in the meantime some of the rails had been stolen and coal had to be brought in by road. But it looks like the rail project came to a halt.